Boron is a quintessential element of the Earth’s upper continental crust. Processes that created the upper continental crust also enriched it in boron, and, as a result, a great diversity of boron minerals are among the most accessible of useful compounds to humankind, even in antiquity. 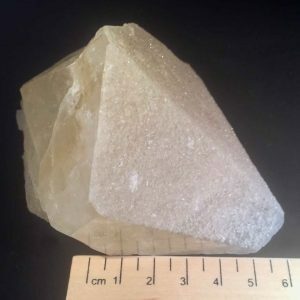 And humankind is most fortunate that crustal processes have been so effective in concentrating boron, as boron is second only to beryllium among elements with Z ≤ 32 in scarcity in the Solar System. We can thank plate tectonic activity and boron’s affinity for fluids, particularly aqueous fluids, for its enrichment. Primitive mantle is estimated to contain 0.26 ppm boron (Palme and O’Neill 2005) and is depleted due to boron’s volatility relative to carbonaceous Ivuna-type (CI) chondrite meteorites, which have 0.775 ppm boron (Lodders 2010). Upper continental crust, with an average boron concentration of 17 ppm (Rudnick and Gao 2005), is produced largely by partial melting of primitive mantle and by the alteration of basaltic rocks crystallized from these melts. However, to form a boron mineral requires concentrations several times the crustal average, something only attainable through further partial melting, adsorption and absorption of boron onto clay minerals, and via leaching by aqueous fluids. Combinations of these processes can produce localized boron concentrations reaching an order of magnitude greater than the crustal average, for example, 30–150 ppm in the illite-dominated component of pelagic sediments (Leeman and Sisson 1996) and 213 ppm in the Tanco pegmatite (Manitoba, Canada; Stilling et al. 2006). However, the evaporation of brines, such as those found in closed basins near active continental margins (such as the deposit worked in the mine shown in FIG. 1), result in even higher concentrations of boron, which can result in a diverse suite of minerals, such as colemanite (FIG. 2). Presently, there are approximately 280 known mineral species containing boron as an essential constituent. But has it always been so? A review of boron minerals from the evolutionary standpoint, considering the role of geologic time in mineral formation, can address this question (Hazen et al. 2008). The oldest reported boron minerals in the geologic record are four species of tourmaline in the 3.6–3.9 Ga Eoarchean Isua supracrustal belt of Greenland (Nutman et al. 2013). This occurrence is evidence for localized concentrations of boron in seawater and in the continental crust that formed by what could have been the earliest plate tectonic processes (Grew et al. 2011; Nutman et al. 2013). Diversity of boron minerals increased to about 100 species through the Precambrian and accelerated during the Phanerozoic (542–0 Ma). However, this acceleration could be an artifact of preservation: many boron minerals are soluble in water and can be considered ephemeral. Unless isolated from aqueous fluids, soluble boron minerals are lost from the geological record but, if protected, they can persist for as long as other minerals. For example, crystals of sassolite (boric acid, H3BO3) enclosed in quartz from the 2.64 Ga Tanco pegmatite have been preserved (Thomas et al. 2012). It remains highly debatable whether ephemeral boron minerals, such as those found in nonmarine evaporites, were present as early as 3.8 Ga. Yet, this is a critical question because evaporite borate minerals, such as colemanite (FIG. 2), have been used to explain the stabilization of ribose, a critical component for the self-assembly of prebiotic organic compounds in the emergence of life (Ricardo et al. 2004; Benner et al. 2012). Alternatively, ribose stabilization by borate in solution (Furukawa et al. 2013) is more in accord with the formation of tourmaline in the Eoarchean Isua supracrustal belt, which also involved boron-bearing solutions. How and when life arose on Earth is a question that has long intrigued scientists and boron appears to be a crucial player. Evidence for boron minerals on the early Earth, or for localized boron concentrations in seawater, could give scientists further insights as to how and when life originated. There is more than just scientific interest in boron. 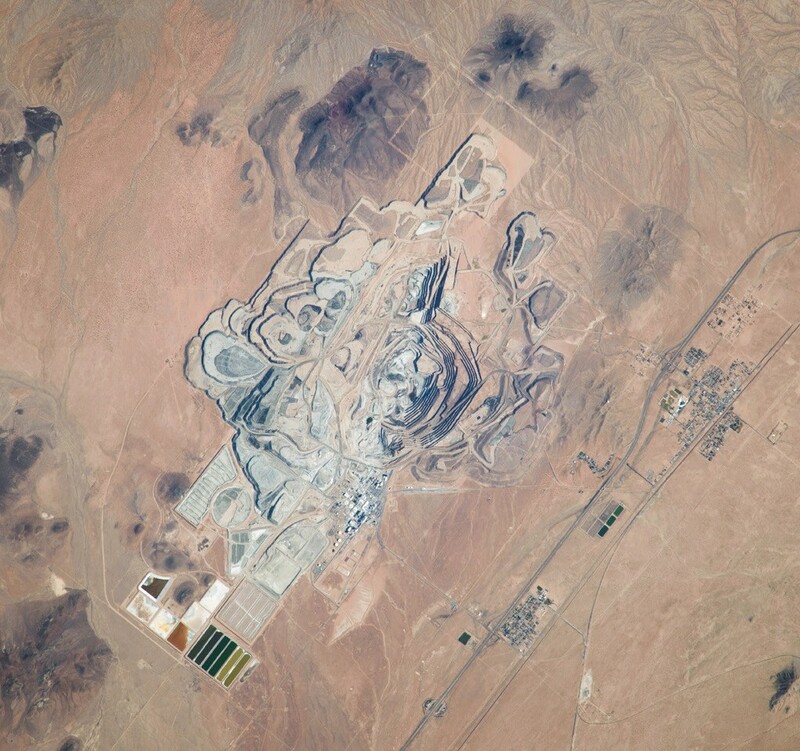 This element, which derives its name from borax, has been widely used in a variety of industries. Borax glazes were used in China as early as 300 AD. Lake Yamdok Cho (Tibet) was the only source of borax known to the ancient world and by 1100 AD trade along the Silk Road was bringing borax from Tibet to Arabia, where goldsmiths used it as a flux (Emsley 2001). Boron compounds have also found wide application in the manufacture of abrasives (e.g. “Borazon,” boron nitride, BN), heat-resistant glass (e.g. Pyrex), porcelain enamels, and detergents. Although poisonous in large amounts and used in herbicides and insecticides, boron is an essential element for plants and is used in fertilizers to enhance plant growth (Greenwood and Earnshaw 1991; Emsley 2001). It also is used in medicine, such as boron neutron capture therapy for cancer (e.g. Kueffer et al. 2013). A few boron minerals can be gemstones, of which tourmaline is by far and away the most prized because of its variety of colors. Tourmaline caught the eye of jewelers in the 14th century, nearly 400 years before a gemstone from Ceylon (now Sri Lanka) was recognized as a distinct mineral and given the name turamalin by Amsterdam lapidaries (Pezzotta and Laurs 2011). 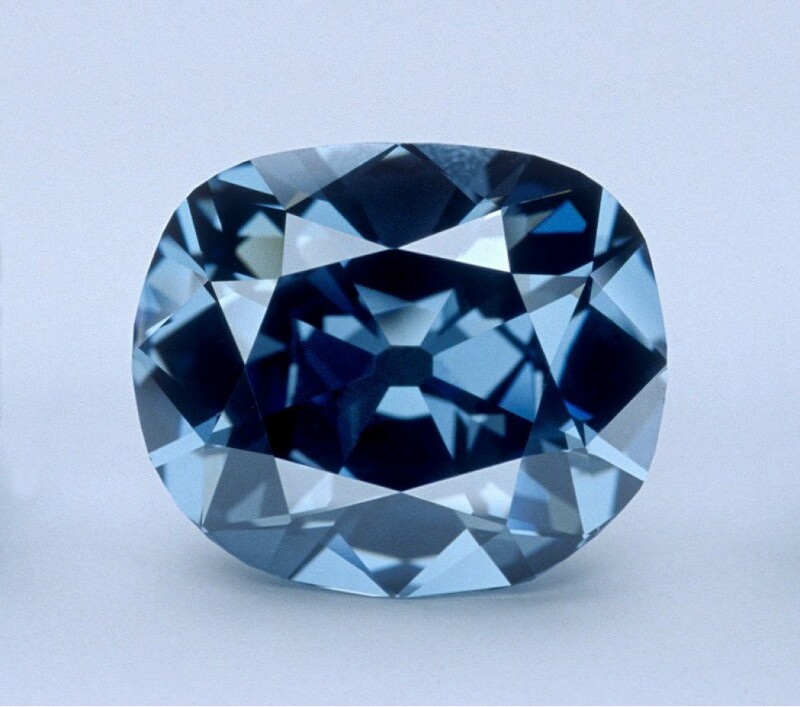 Another gemstone of interest is the natural type IIb blue diamond. This is the only gemstone that derives its color from boron, caused by electronic absorption in the red portion of the spectrum. 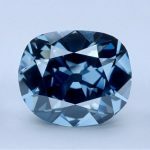 This rarest of colors is among the most valuable on the diamond market (Gaillou et al. 2012). A prime example is the Hope Diamond (FIG. 3). Gaillou et al. (2012) wondered about the source of the boron in these diamonds—did it originate in the mantle or could it have been sourced from deeply subducted crustal material? The latter possibility is no longer outlandish: Dobrzhinetskaya et al. (2014) suggested that qingsongite (BN) formed at 10–15 GPa from mantle nitrogen and crustal boron, the latter from a fragment of pelitic rock subducted to mid-mantle depths. Processes associated with formation of Earth’s crust have not only separated and concentrated boron, which then became available for our industrial use, but may also have mixed a little bit of this crustal boron back into Earth’s mantle to create beautiful gemstones.